Zach Galifianakis Weight Loss: Did He Have Surgery? If your 2018 New Year's Resolution is to lose weight, you might find inspiration in the transformation weight loss of newly slim celebrity Zach Galifianakis. The famous fat, funny man from The Hangover movies has lost so much weight that, these days, he is almost unrecognizable. So what diet or method did Zach Galifianakis use to lose weight? Did he have bariatric weight loss surgery? How Did Zach Galifianakis Lose Weight? Like John Goodman, comedian Zach Galifianakis has enjoyed a successful comedy career known as a lovable fat, funny guy. In fact, many fans - including the director of The Hangover movies - were a little sad to see Galifianakis lose weight. Though fans love him fat or thin, Galifianakis has hinted that the hard partying lifestyle that led to his heavy weight gain in the first place was definitely not healthy. Did Zach Galifianakis have bariatric weight loss surgery? Zach Galifianakis lost weight very fast, appearing to have lost anywhere from 50-60 pounds. His sudden, dramatic weight loss has caused many to wonder if he actually had a secret bariatric weight loss surgery. When asked about his significant weight loss on Conan in 2016, Galifianakis joked that he'd had "a lot of plastic surgery." Was he only half kidding? While it's possible that Zach Galifianakis did have weight loss surgery, the comedian credits his weight loss first and foremost to drastically cutting down his alcohol intake, much like John Goodman. In interviews, Galifianakis has hinted that his drinking had become problematic not just for his health, but also for his personal life. Was the comedian turning over a healthier, new leaf before the birth of his first child in 2014? Drinking too much alcohol can impede weight loss in a variety of ways. Despite the fact that alcohol is empty calories with no nutritional value, ingesting alcohol can also slow down your metabolism, sabotaging a healthy diet or methods you employ to try to lose weight. Medical studies also show that drinking alcohol also often leads to overeating. Overall, it is best to follow Galifianakisâ€™ example and limit alcohol intake as much as possible if youâ€™re trying to start a new weight loss or health plan. Embrace Dry January for a slimmer 2018! With or without the help of weight loss surgery, Zach Galifianakisâ€™ simple but effective weight loss plan is an inspiration to anyone hoping to lose some weight and drop a few pounds in 2018. 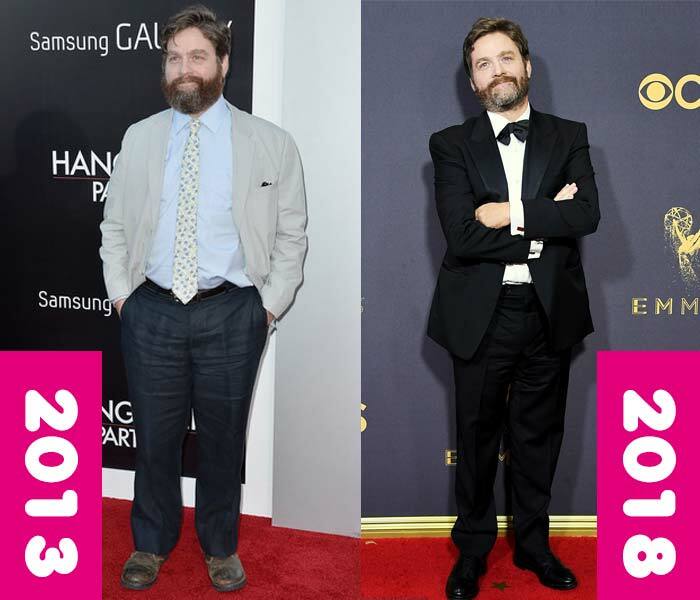 With the simple method of cutting down on his alcohol intake and exercising more, Galifianakis has not only lost weight, but also started down the path toward a healthier new lifestyle approach. We wish him luck keeping the weight off and staying healthy in 2018 and beyond! 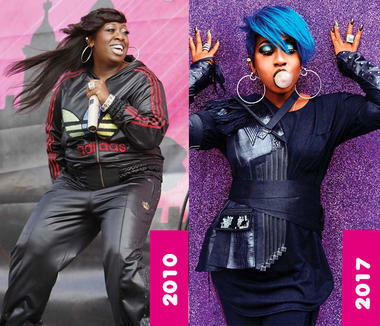 Missy Elliott Weight Loss: Did She Lose Weight With Surgery? Rapper Missy Elliott has undergone a celebrity weight loss transformation. How did she lose weight? What's her diet secret? Did she have bariatric weight loss surgery? Precious Weight Loss: Did Gabourey Sidibe Have Weight Loss Surgery? Gabourey Sidibe, best known for her role in Precious, has undergone an amazing celebrity weight loss transformation. How did Precious lose weight? Did she have secret weight loss surgery? Al Roker Weight Loss: Did He Have Weight Loss Surgery? TV news personality Al Roker has struggled to maintain his weight loss throughout his career. 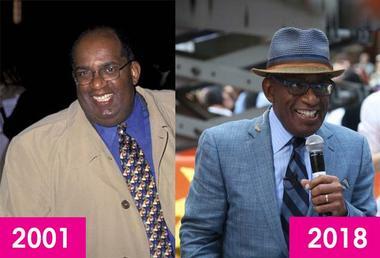 How did Al Roker lose weight and achieve his celebrity weight loss transformation? Did he have secret bariatric weight loss surgery? 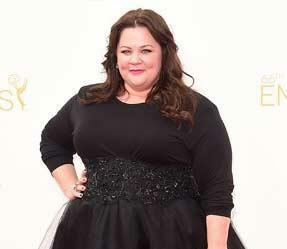 People used to call her fat, but Melissa McCarthy is getting skinny! How did the comedian lose weight? Did she have secret bariatric weight loss surgery? 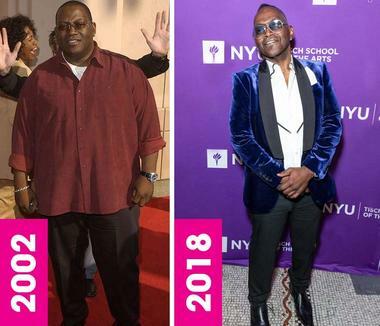 Randy Jackson Weight Loss: Did He Lose Weight With Surgery? As one of the original judges on the long-running TV show American Idol, music celebrity Randy Jackson has undergone an incredible weight loss transformation. How did Randy Jackson lose weight? Did he have secret weight loss surgery? Mariah Carey Weight Loss: Did She Have Weight Loss Surgery? 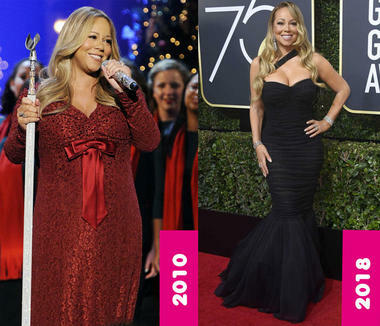 Mariah Carey Weight Loss Surgery. Celebrity Mariah Carey's weight has fluctuated over the last few years, but in 2018 she is looking thin and fit again. Did Mariah Carey have secret gastric bypass weight loss surgery? How to Lose Weight the "Right Weigh"
Gastric Sleeve Surgery: What is a Gastric Sleeve Procedure? What is the gastric sleeve? How does gastric sleeve bariatric surgery work? Find out more about gastric sleeve surgery and if it is the best weight loss option for you. Do you have broken or crumbling teeth and don't know the causes for it? If you've had bariatric weight loss surgery, you need to find out why this is happening. Drinking bulletproof coffee might be good for losing weight. Read our review of bulletproof coffee and check out our easy recipe! Fast Weight Loss the Best Way to Lose Weight? Is losing weight fast really the best way to lose weight? Studies show fast weight loss more effective for many dieters. Have you had bariatric surgery and have started to gain back the weight you lost? Don't give up hope! You can still get back on the track to weight loss. How Long Does it Take to Recover & Lose Weight After Bariatric Surgery? Right Weigh receives many questions about gastric bypass and lap band surgery, most of them concerning how long it takes to recover from surgery and get back to your normal life. Bragg's Apple Cider Vinegar for Weight Loss: Does it Really Work? Does drinking apple cider vinegar for weight loss really work? Is Bragg's really the best? Is drinking ACV every day safe? Explore the good and the bad of the apple cider vinegar diet & its supposed weight loss benefits. You've had gastric bypass surgery or weight loss surgery. Now you want to know if you can still get pregnant. Is pregnancy possible after bariatric surgery? Find out now. Copyright © 2008-2019. Right Weigh Weight Loss. All rights reserved. WEB DESIGN BY DESIGNATURE.